When you need pain relief, you need an experienced doctor. Dr. Bass is a leader in "movement related" spine and disc disorders. He is the inventor of the FDA-Cleared Medical Device called the Antalgic-Trak (scroll down to learn more). "We Help... When You Hurt"
With over 30-years of experience, Dr. Bass has successfully treated more types of back and neck pain than most doctors ever see. Medical technology has improved spinal therapy with the new ANTALGIC-TRAK. This FDA-Cleared medical device is treating patients around the world. 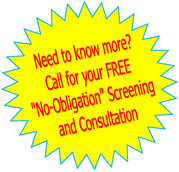 WOULD YOU LIKE A FREE CONSULTATION? IT'S DR BASS' PLEASURE TO SPEAK WITH YOU. JUST CALL US AND WE'LL SCHEDULE YOU TO MEET AND SPEAK WITH HIM! Why Live With Pain? Take a few moments and review our website. Start to understand what makes us unique and special and develop a clear understanding about our methods. Dr. Bass is the inventor of the revolutionary spinal treatment system called ANTALGIC-TRAK. It has been hailed as the greatest evolutionary advancement to non-surgical spinal therapy in 50-years. It is the only spinal traction/decompression system in the world that is engineered with movable posture changing sections. This new technolgy offers patients new hope. "Our therapy programs center around the Antalgic-Trak. It is considered by many doctors to be the most effective non-surgical therapy in the world." work or sport related traumas can be treated without surgery. Antalgic-Trak has articulating features (movable sections) that enable it to customize itself to each patient's spinal distortion. This can improve the decompression experience. designed to deliver more reliable results. Strategic Intake-This is our consultation and exam. It is where we learn about you and your condition. 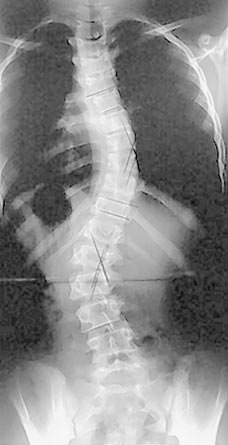 Weight Bearing X-ray and MRI Analysis- Because we utilize postural decompression, we need to evaluate the alignment relationship between your vertebrae and discs. This valuable information enables us to precisely position the "Antalgic-Track" to fit you. No two spines are alike. Non-Surgical Spinal Decompression using the NEW Antalgic-Trak®Antalgic-Trak is a "state-of-the-art" non-surgical spinal decompression system. We believe it to be the best in the world. It is an advanced form of traction used to treat the pains associated with disc injury, spine related pain, pinched nerves and more. as well as stabilizing exercises. K-Laser CUBE-The "CUBE" is a powerful FDA-Cleared, Class-4 therapeutic laser. It has the penetrating power to reach into the deeper tissues of the spine. Older laser products do not have penetrating power and therefor offer no benefit to the deep tissue. The CUBE can stimulate the deeper tissues of the spine. Interferential Electrotherapy-This therapy is performed by applying electropads to the muscles around the complaint area. The therapy reduces swelling, improves circulation, reduces muscle spasm, and deprograms the "old" contraction pattern. Contraction patterns can maintain the condition. The goal is to deprogram the "condition pattern" and establish a new healthier one. Nutrition - You are what you eat... as we rebuild and hydrate your injured disc we can improve the outcome with specialized supplements formulated to rebuild the disc cartilage and surrounding tissues. HF-54 Ultrasound- Ultrasound has been used to treat the spine for years. The HF-54 ultrasound unit has the largest ultrasound treatment surface in the world. Using computer technology, these units can be placed over the anatomy without havng to move them enabling the ultrasound to saturate the entire treatment area. Acoustic Shockwave- This device is used for a variety of injured tissues including plantar fasciitis, tendonitis, adhesions and scar tissue. Homeopathic "Bio-Puncture" Injection Therapy: This procedure enables us to inject specific natural formulations that enhance tissue repair. Also known as prolotherapy and bio-puncture, Bio-puncture is safe and effective. Stabilization Belting- We utilize special "belting" to support and stabilize your spine between visits. 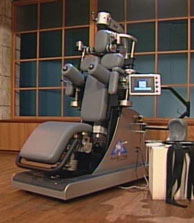 The Antalgic-Trak® Spinal Decompression System is the only "articulating" decompression system in the world. It can dramatically effect the pains associated with spinal injuries and conditions. Today... doctors across the US, Canada, Asia and Europe are successfully treating patients with the Antalgic-Trak. Once you experience it you'll immediately realize why it is like no other therapy in the world. NOTE: As with any treatment in any field of health care, results cannot be guaranteed and can vary between patients. The techniques and procedures that we utilize (at the institute) are safe and effective. We make every effort to diagnose and review the details of your condition so that we may advise you on the anticipated results of your treatment program. "RECLAIM YOUR LIFE! We Help... When You Hurt"
unloading due to distraction and positioning. Each section of our website will enlighten you about the services we offer and why we use them. We are confident that once you understand the why we do what we do, you will have the knowledge and confidence to entrust your care (or the care of a loved one) to us. After all, we consider it a privilege to treat you. Regarding FREE services: The patient and any other person responsible for payment has the right to refuse to pay, cancel payment, or be reimbursed for any service, examination or treatment which is performed, or as a result of and within seventy two (72) hours of responding to the advertisement for the free or reduced fee service, examination or treatment.